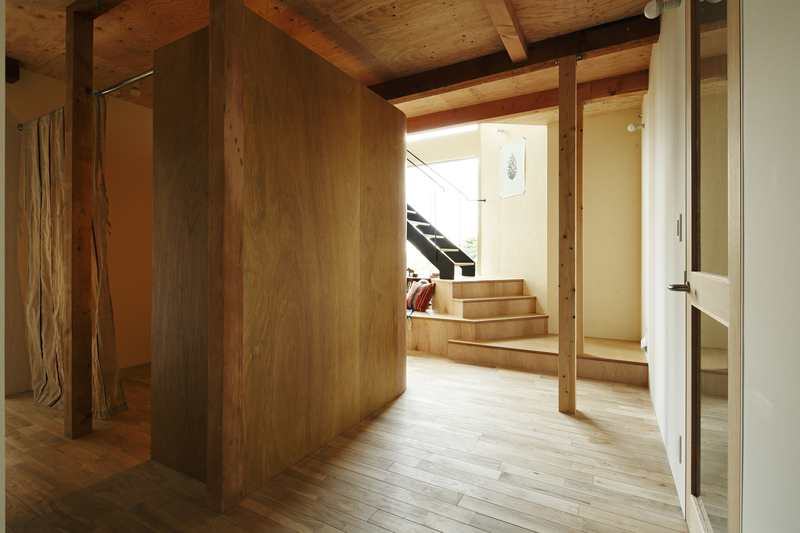 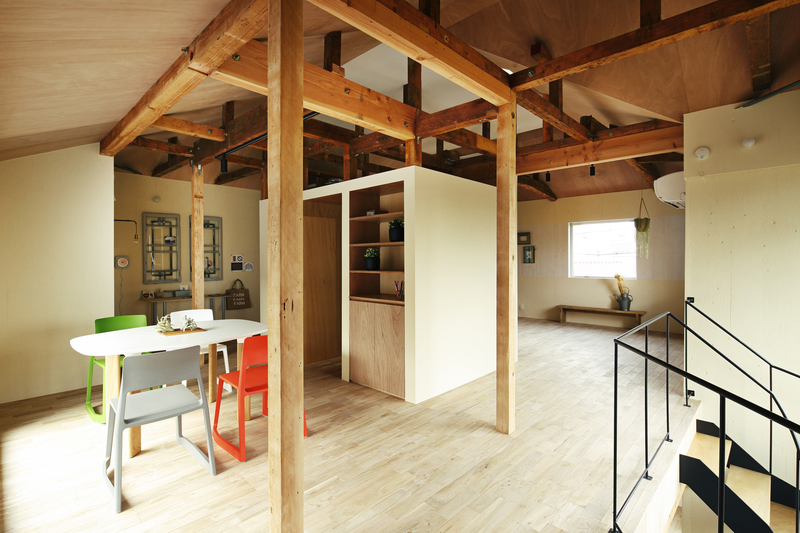 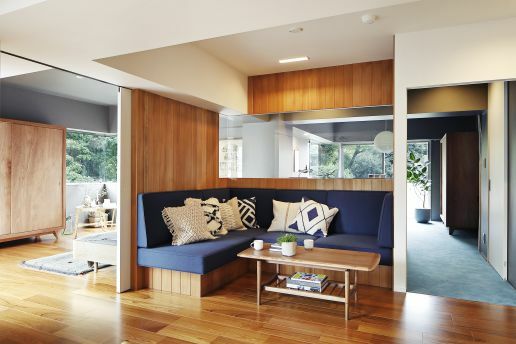 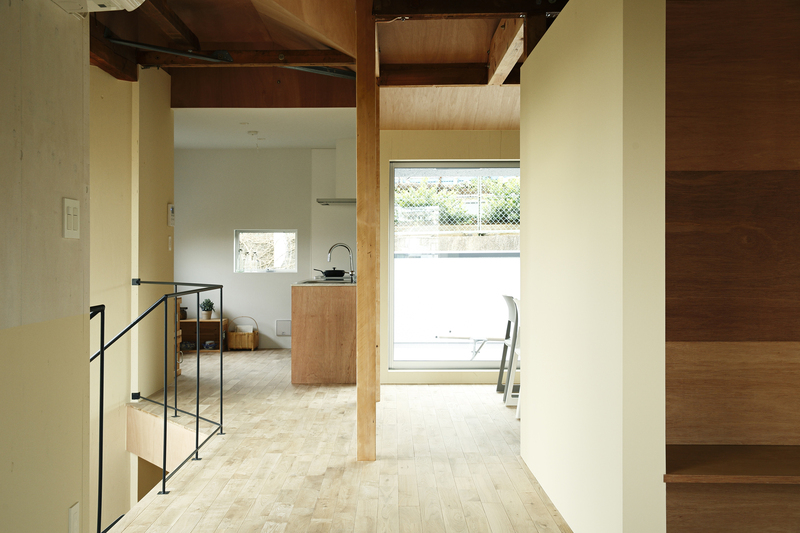 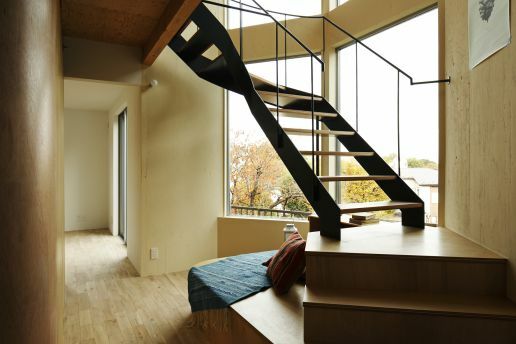 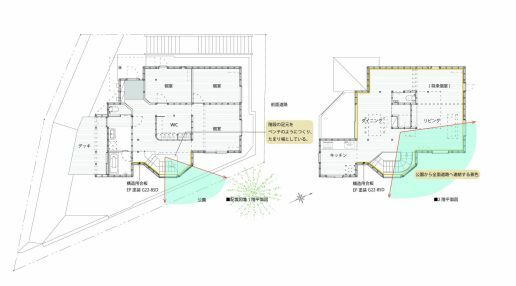 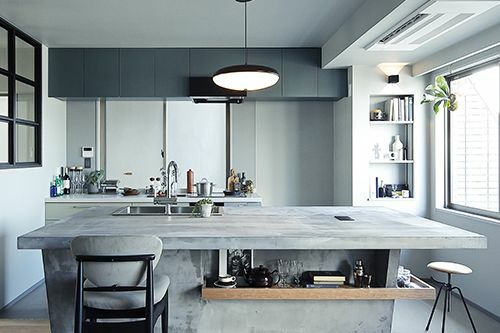 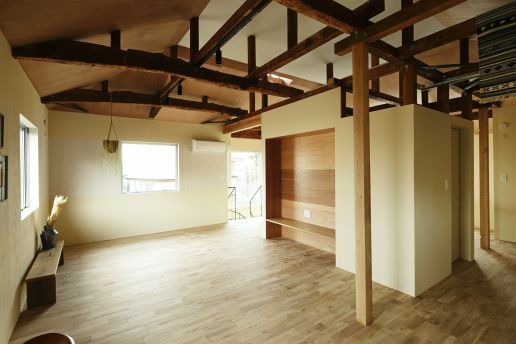 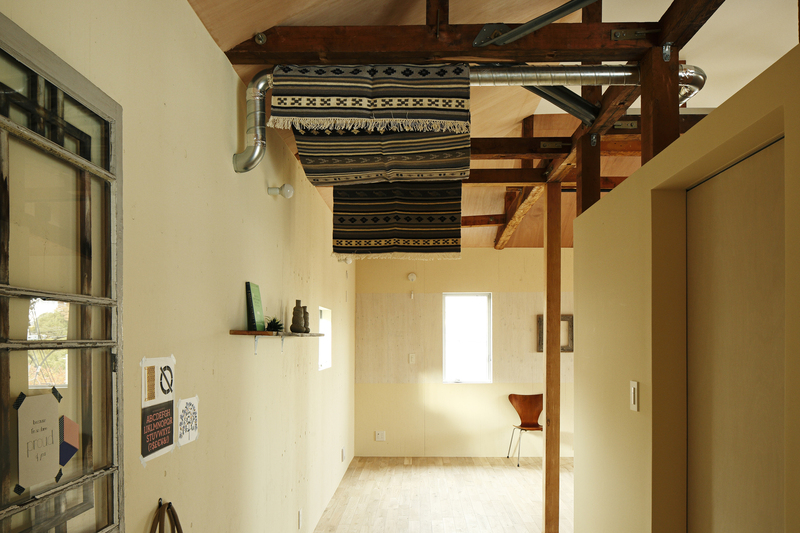 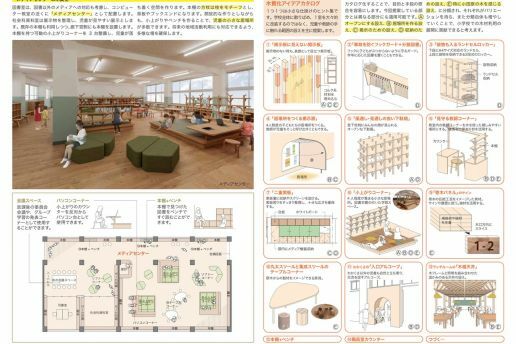 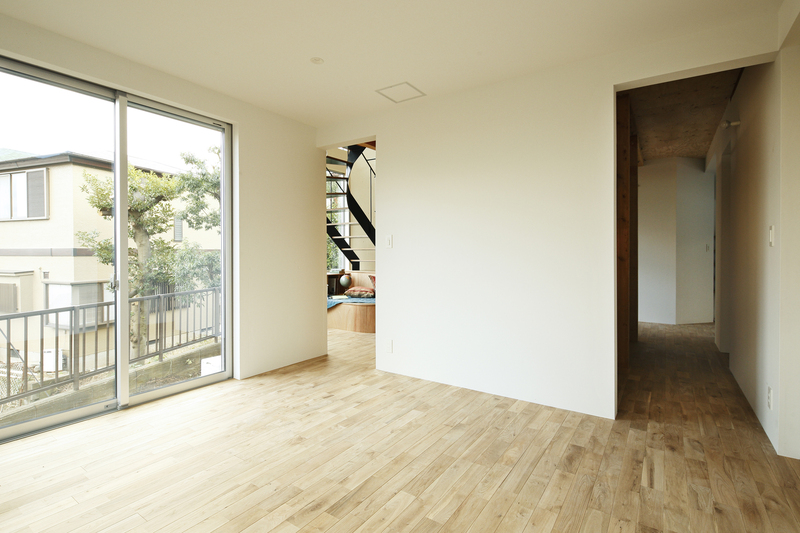 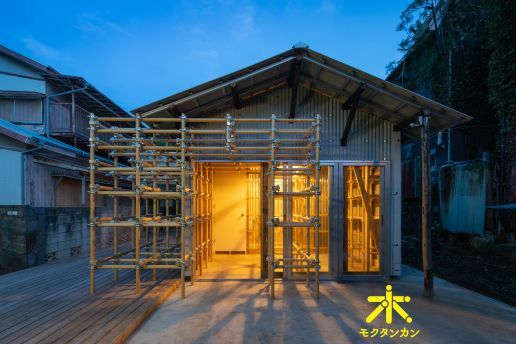 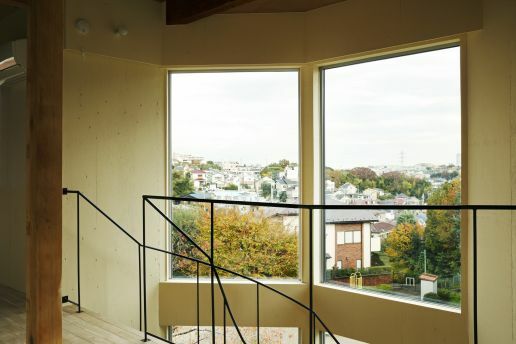 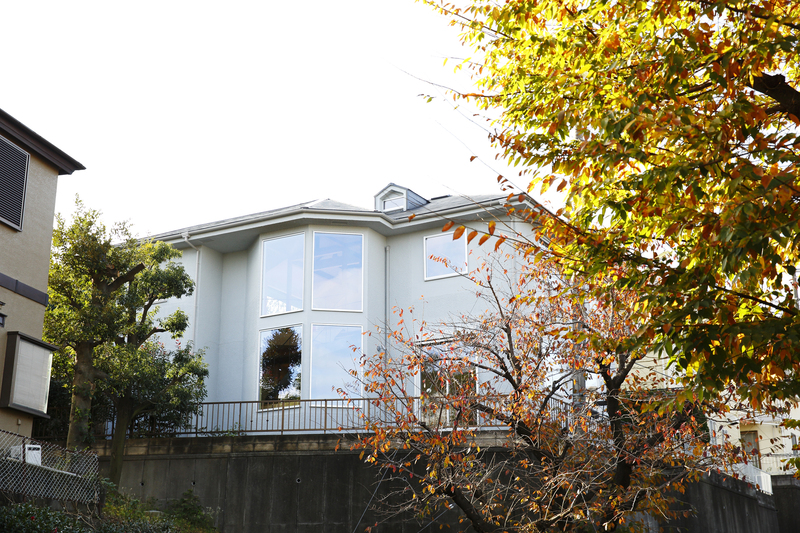 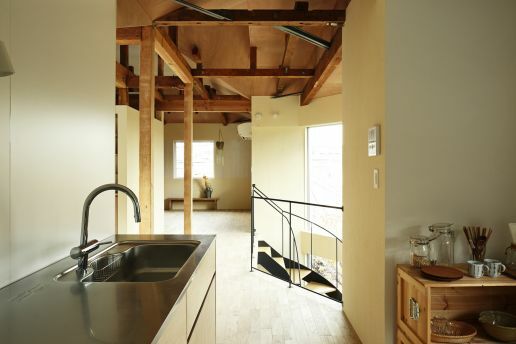 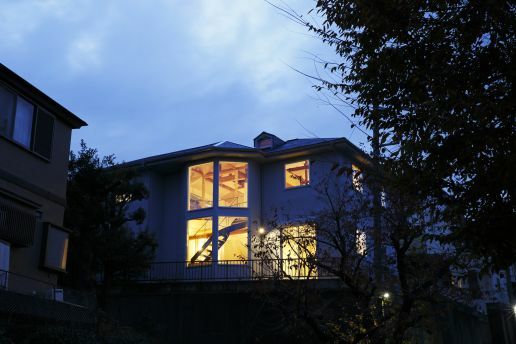 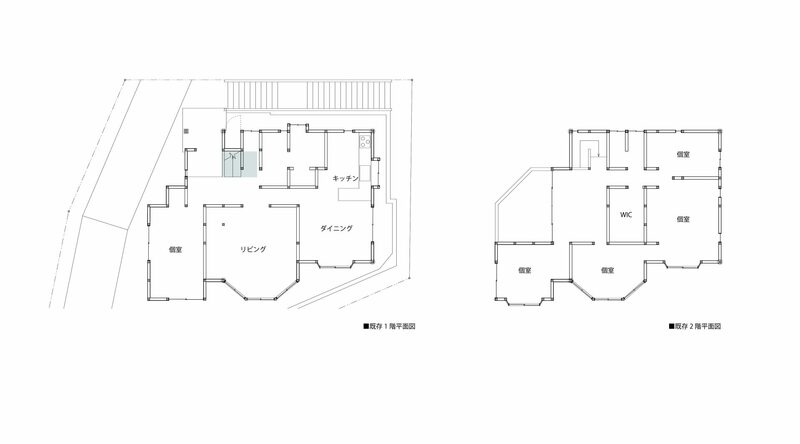 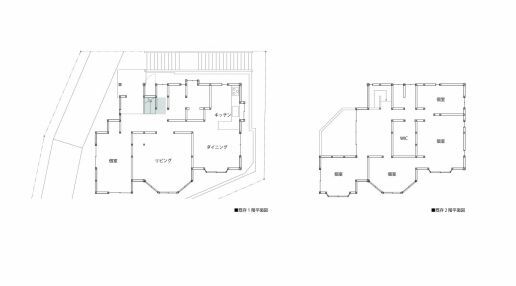 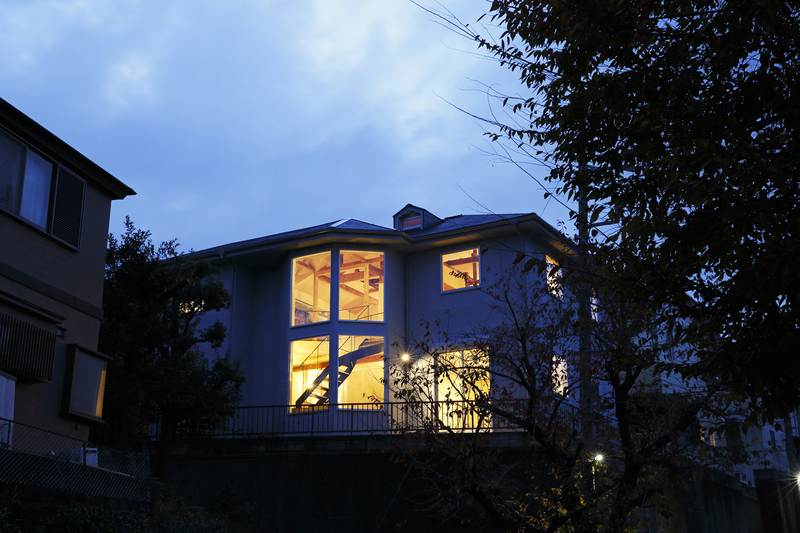 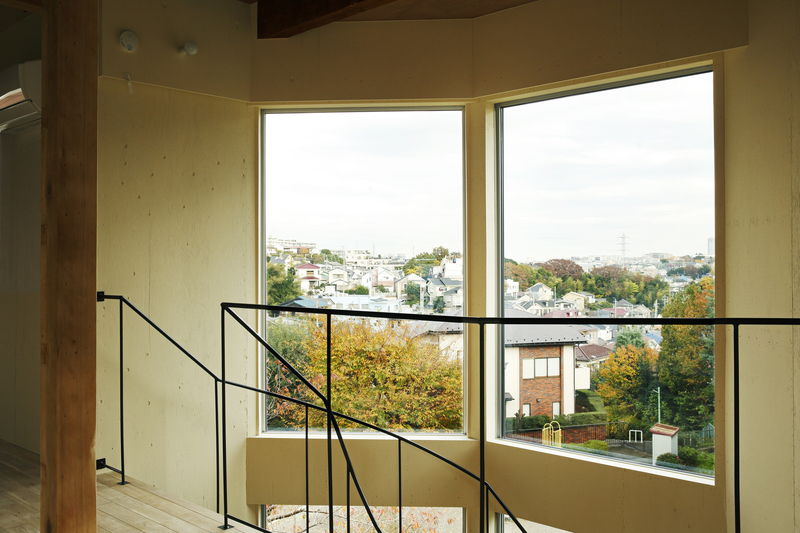 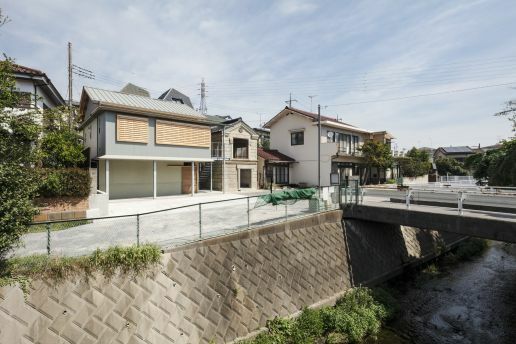 House renovation in Hiyoshi-honcho is designed with existing wooden structure frame and new walls. 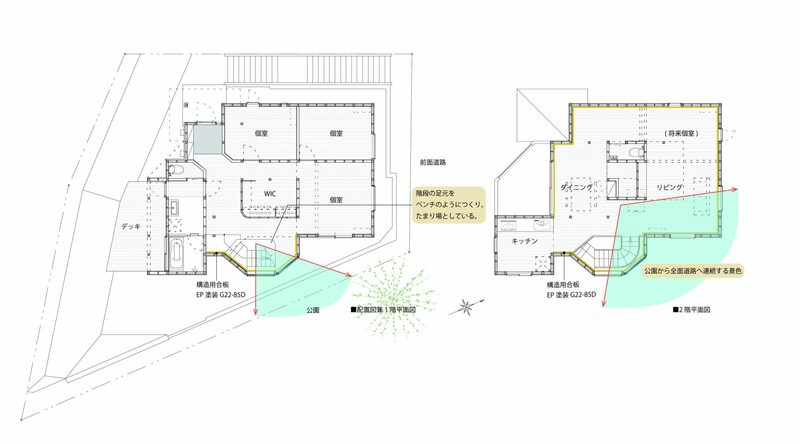 It is newly planned with careful consideration of surrounding situations, such as the park, stairs, power polls, and the retaining wall. Especially, the stairs are the most important space in this house. 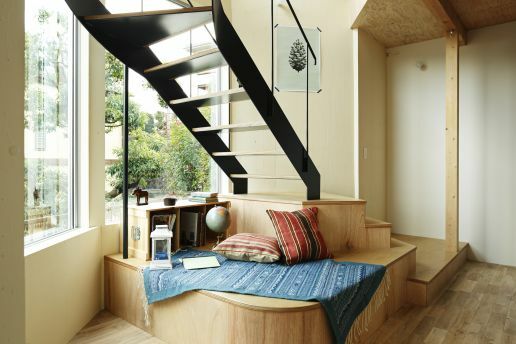 You can lie down on the extended tread, and enjoy the good view and conversations across the stairwell. 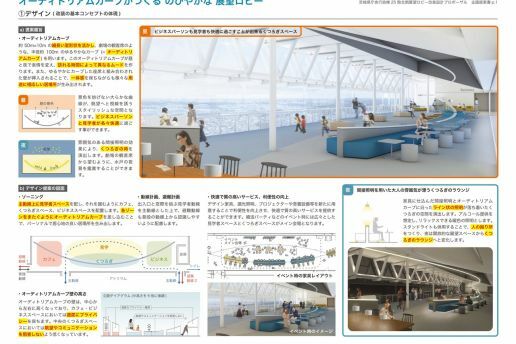 The extended stairs produce more activities and communications in the family.